SAN ANTONIO (Sept. 16, 2016) – The San Antonio Spurs today announced multiple additions and promotions to the basketball operations staff. Brian Wright joins the organization as assistant general manager while Monty Williams comes on as vice president of basketball operations. 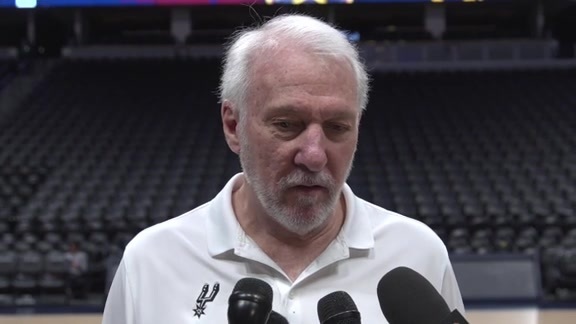 Phil Cullen joins the Spurs staff as director of basketball strategy and Pat Sund has been named pro personnel scout/Austin Spurs assistant general manager. Nick Repole joins the Silver and Black as director of basketball of basketball information systems while Landry Fields has been named a college scout. In addition, the following members of the Spurs basketball operations department have received promotions: Will Hardy has been elevated to assistant coach while Andy Birdsong has been promoted to director of pro player personnel/Austin Spurs general manager. Brandon James has been elevated to assistant general counsel/director of basketball administration and Dave Telep has been promoted to director of scouting. Xavi Schelling is now the team’s director of sports science and athletic performance while Niraj Mulji has been elevated to basketball operations manager. Dutch Gaitley has been promoted to video coordinator. Wright joins the Spurs after spending the past two seasons as the Detroit Pistons assistant general manager. Prior to his stint with the Pistons, Wright spent eight seasons with the Orlando Magic, serving as the director of college scouting in his final season. Wright began his career with the Magic as a summer intern in 2006 and was hired as the scouting coordinator prior to the 2006-07 season. He also served as scouting manager and spent the 2012-13 season as the team scouting/player development manager. Wright attended graduate school at the University of Central Florida, earning an MBA and master’s in sports business management from the DeVos Sports Business Management Program. Prior to his time at UCF, he played basketball at La Sierra University. 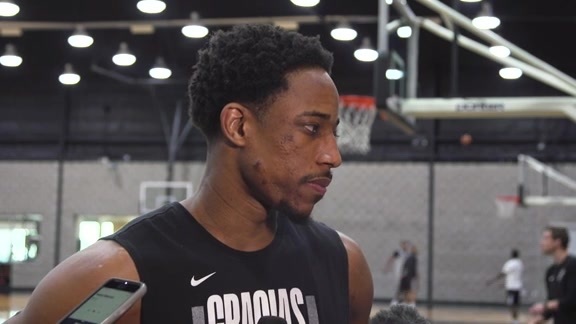 Williams returns to San Antonio for his second stint with the Spurs. After a nine-year NBA playing career, including two-plus seasons with the Spurs, Williams got his start in the front office and coaching while serving as a coaching intern with the Silver and Black during the 2004-05 campaign. Last season Williams served as an assistant coach with the Oklahoma City Thunder. Prior to joining the Thunder he was the head coach of the New Orleans Pelicans from 2010-2015, guiding the Pelicans to the postseason twice. Before his time in New Orleans, he spent five seasons as an assistant coach on the Portland Trail Blazers’ bench. In 2013, he was named an assistant coach for the 2013-16 USA Basketball Men’s National Team. He earned a degree from Notre Dame’s College of Arts and Letters, majoring in communications and theatre. Hardy has spent the past six seasons with the Silver and Black, including the last three as the team’s video coordinator. During the past two summers Hardy has served as the head coach of the Spurs summer league team in Utah. The Williams College graduate began his career in San Antonio as a basketball operations intern in 2010 before being promoted to assistant video coordinator in 2011. Birdsong is in his second stint in the Spurs front office, most recently serving as the team’s director of basketball operations. He began his NBA career as a basketball operations intern with the Silver and Black during the 2011-12 season. Prior to rejoining the Spurs, Birdsong spent three seasons with the Atlanta Hawks in the basketball operations department. James enters his fifth season in the Spurs front office as in-house counsel for basketball operations responsible for CBA, salary cap, legal and administrative matters. Before joining the Silver and Black he spent four years with IMG Sports, Entertainment and Media serving several positions in talent marketing and ultimately the coaches division representing professional and collegiate coaches. Telep joined the Spurs in 2013 as the team’s draft scouting coordinator after serving as ESPN.com’s senior national recruiting analyst. He also spent time as a sideline reporter for ESPNU and a studio analyst for Recruiting Nation. Telep has also served on the USA Developmental National Committee for the USA National Team. Schelling has spent the past two seasons with the Silver and Black as an applied sports scientist. Prior to joining the Spurs he served as the director of athletic performance from 2006-14 for Bàsquet Manresa, a Spanish team in the 1st Division of the ACB Spanish League. He has also worked as the strength and conditioning coach for the Spanish National Basketball Team at the 2014 U20 European Championship. Gaitley is in his fourth season with the Spurs, spending the last two as the team’s assistant video coordinator. He started with the Silver and Black as a video intern during the 2013-14 season. Prior to San Antonio, Gaitley served as the video coordinator at Lehigh University. He was as a graduate assistant for the Temple basketball team in 2011-12 after playing his senior season with the Owls. Gaitley also played collegiately at Monmouth University from 2006-09. Cullen joins the Spurs after spending the past four seasons at the University of Utah where he served as the team’s director of basketball operations during the 2015-16 season. Prior to that, Cullen spent three seasons as the Utes director of player development and camps, following a three-year stint as an assistant coach at Grand Canyon University. Cullen played for Utah from 1998-2002 and helped the Utes to a 90-35 record during that span. He also played baseball for the Utes and the right-handed pitcher was drafted by the Seattle Mariners in 2000, appearing in a total of 46 games for two Seattle minor-league affiliates in three seasons. Cullen received his bachelor's degree in civil and environmental engineering from Utah in 2006 and earned his master's in leadership from GCU in 2012. Sund has signed on with the Spurs after having spent the past seven seasons with the Golden State Warriors organization, including the last two as associate general manager of the Santa Cruz Warriors and manager of scouting for Golden State. Sund originally joined the organization as a basketball operations assistant prior to the 2009-10 campaign after graduating from Indiana University with a degree in sports marketing and management. Sund worked with the Hoosier basketball team under Tom Crean during the 2008-09 season before joining the Warriors. 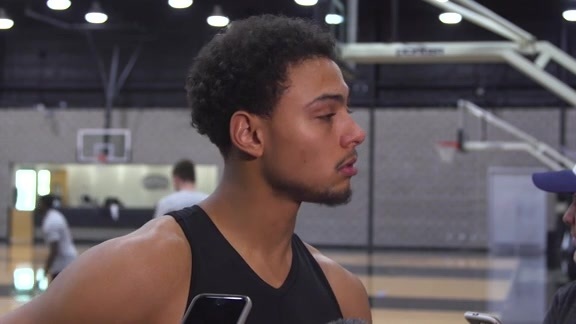 Repole comes to San Antonio from the Charlotte Hornets, where he served as the basketball operations systems developer and quantitative analyst for the past two seasons. 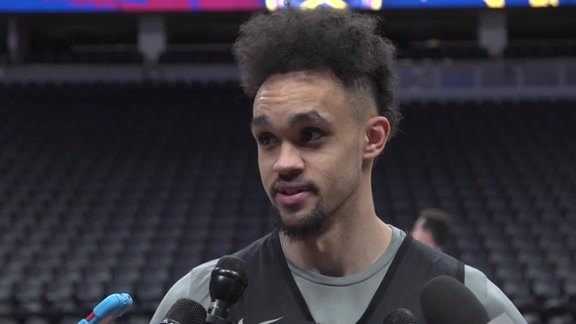 Prior to joining the Hornets, the University of Michigan graduate was an associate product development specialist for Eagle Investment Systems. Fields joins the Spurs after a five-year NBA playing career. An All-Rookie First Team Selection in 2011, Fields averaged 6.8 points, 4.3 rebounds and 1.6 assists in 23.6 minutes in 255 career games with the New York Knicks and Toronto Raptors. 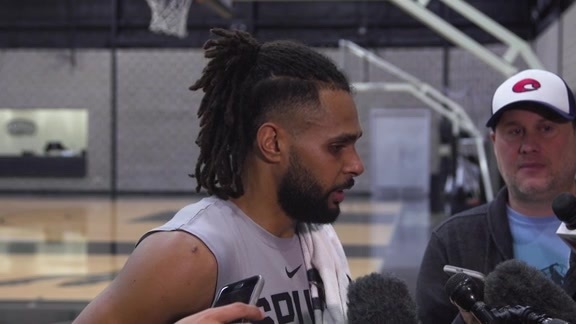 Mulji joined the Spurs in 2014 and has spent the past two seasons as a basketball operations quality assurance assistant. A graduate of Southern Methodist University, he was the head student manager with the Mustang’s basketball team from 2012-14.